Looking to sell your property or buy a new home? Make informed decisions regarding property sales and purchases with legal advice from the experts at O’Hares Solicitors in Dumbarton. We also offer will writing and executry services. For more information on our conveyancing services, get in touch with us. We make things run smoothly if you have to buy and sell at the same time. Our will writing service is easy to use and tailored to your needs. Decide who controls your legal and financial affairs in your absence. 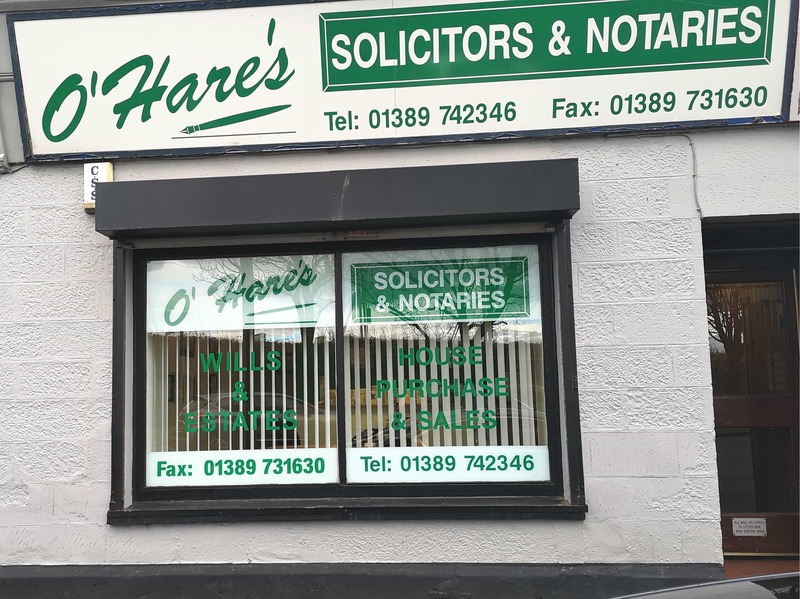 Established in 2009, O’Hares provides excellent legal advice and services to clients across Dunbartonshire. Whether you are moving into a new home or selling your home and want all the paperwork in place or you wish to write up your will, we will be there to assist you. With our wealth of experience and expertise, we can help you deal with the issue in the right way and help relieve you of some of the stress involved. We understand that buying a home is one of the biggest investments you will make, so we will work with you to make sure everything is as it needs to be and offer you legal advice to help you make informed decisions. Our fast, efficient and proactive service will keep you up-to-date at every stage of the process. Need helpful advice on legal matters?